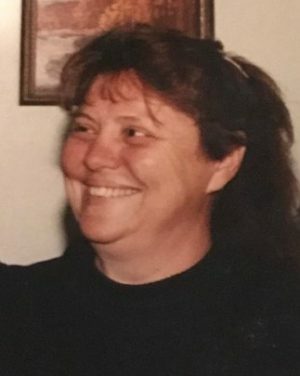 FULTON, NY – Christine Price, 66, of Volney, passed away on Wednesday, March 20, 2019, surrounded by the people that she loved. She was born in 1952, a daughter to the late Orvis DeMott and Lillian Stacey. Christine grew up in Hannibal, later moving to Volney to raise her kids. She worked as a teacher’s aide and lunch lady at Volney Elementary School, retiring in 2013. Christine was an avid bird watcher, loved flowers and her hats. She was one hell of a hippie and a mom to all. Christine was predeceased by her step-father, Ernest Stacey. She will be forever missed by her husband, Lester G. Price Jr.; two children, Lester G. (Jessica) Price III and Leslie (Kenneth) Parkhurst; grandchildren, Ellie Parkhurst, Trish, Josh and Chloe; several brothers, sisters and extended family. Calling hours will be from 4-6 p.m. on Friday, March 29, at Foster Funeral Home, 910 Fay St., Fulton.